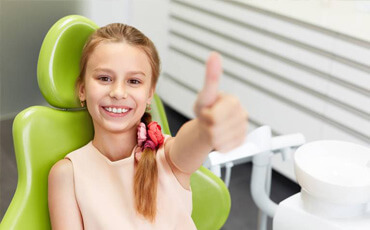 Are you looking for an excellent children’s dentist? We can’t wait to welcome your little one to the dental family! 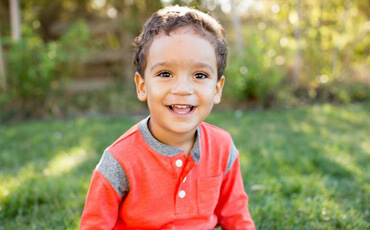 You already trust us for your own smile, and we are pleased to say that we apply the same friendly, focused care to the littlest in your family as well. Our children’s dentistry services begin around age one, when those first pearly whites are just starting to come in. It may seem early, but getting a head start will put your child on the path to a healthy smile that lasts a lifetime. Keep reading to learn more about why now is a great time to visit a children’s dentist in Jacksonville! When you visit the same dental team for everyone in your family, life gets easier. You won’t have to worry about keeping track of the operating hours of a bunch of different offices -- and you may notice that your children are more keen on visiting a dentist they know the rest of their family trusts as well. 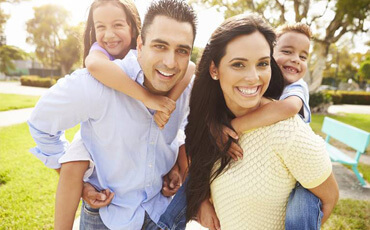 At the Dental Center of Jacksonville, we work to make sure excellent dentistry is a real family affair. Whether you are looking for a checkup and cleaning for your little one or gum disease treatment and tooth replacement for yourself, you have found the right place. Preventive dentistry to help stop oral health problems in their tracks. Restorative dental care, which brings your smile back to its full health after tooth loss and other oral health problems. Cosmetic dentistry services, like porcelain veneers and teeth whitening, which can help turn healthy teeth into beautiful ones. Emergency dental services for when the unexpected happens to you or someone you love -- like a knocked out tooth, toothache, or anything else. 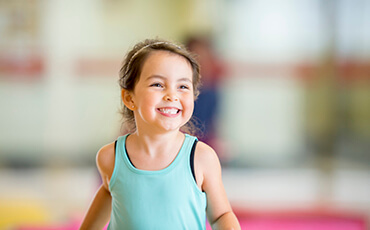 Of course, children’s smiles have their own challenges and thus require a special approach. Kids are especially vulnerable to cavities between the ages of 6 and 14 or so, while their permanent teeth are developing. Visiting the dentist regularly and maintaining excellent oral hygiene habits at home are of the utmost importance during this time. Dental sealants: A non-invasive (and non-painful) treatment that shields the tooth enamel from food particles and bacteria that can build up in the irregular surfaces on the molars and premolars. Topical fluoride treatments: By applying fluoride to the surface of the teeth, we can remineralize the enamel to keep cavities from forming. It is always better to keep problems from developing rather than correct them after the fact -- and the same is definitely true when it comes to your and your family’s smiles. We recommend patients of all ages undergo a checkup and cleaning at least twice-annually. By scheduling and attending these appointments regularly, you can feel great knowing you are doing the most for your favorite smiles! When was your family’s last visit to the dentist? Even if it has been awhile, it’s never too late to recommit to your dental health. 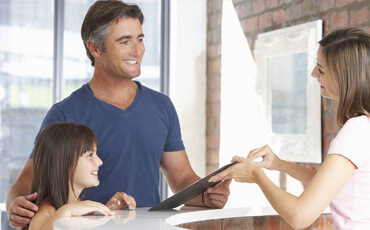 We invite you to request an appointment for superior dental care with your family dentist in Jacksonville today!